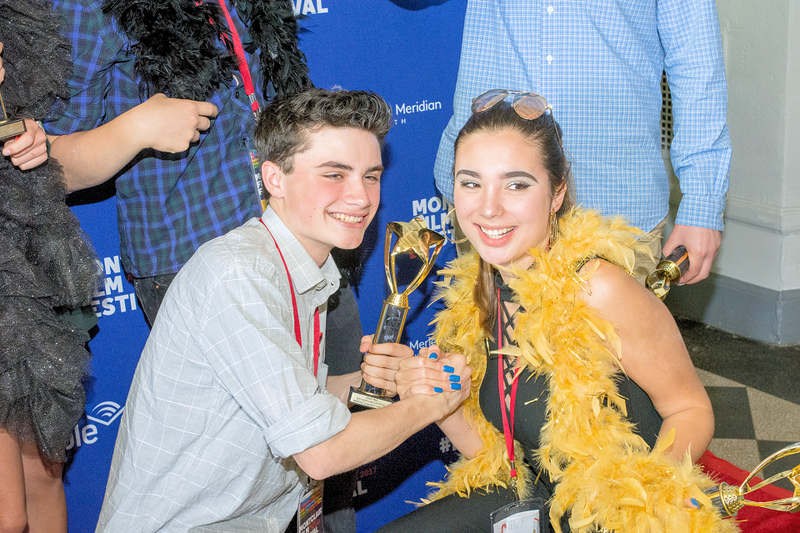 Montclair Film Festival recognized some of the best young filmmakers from the region last Saturday at the Wellmont Theater for one of our signature events, the EMERGING FILMMAKER COMPETITION. 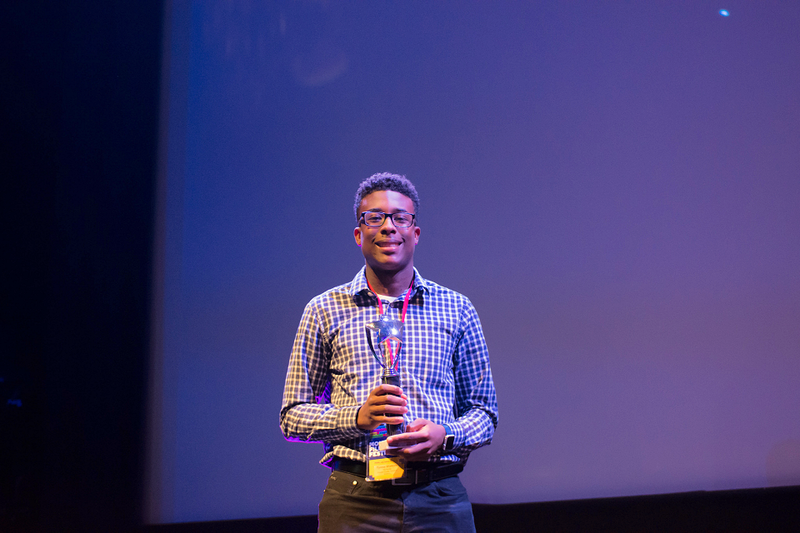 The films chosen represented a wide range of styles and voices, showcasing the diverse talents of young people in grades 4 through 12 who are using cinema to tell their stories. 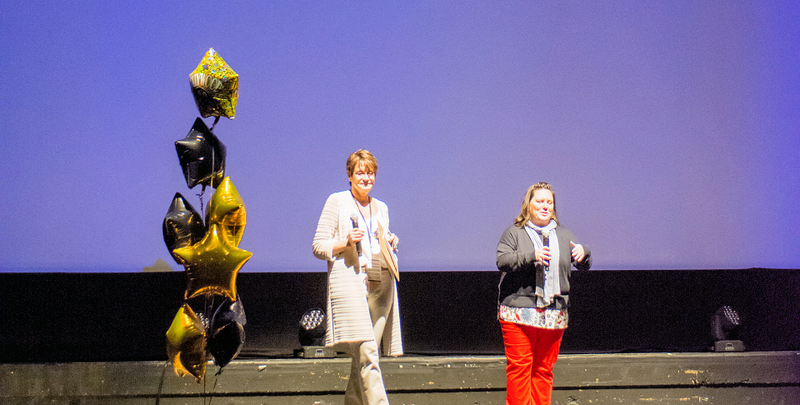 The theater was truly abuzz with excited young filmmakers, their friends and families and other film fans as Sue Hollenberg, Montclair Film Festival Education Director, and Michelle Anderson, Emerging Filmmaker Competition Coordinator, took the stage to commence with the awards ceremony. 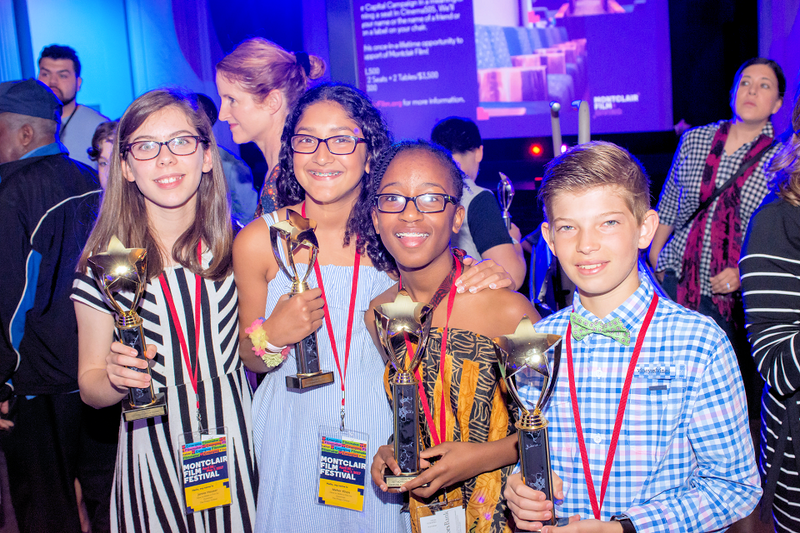 They summarized creative expression within the age categories, telling the large crowd that our “Cinemaniacs” (younger filmmakers) brought us earnest efforts into comedy, while the “Storytellers,” our next older group, gave us a mix of comedy and thought provoking dramatic analyses. And finally, the older “Visionaries” group dazzled the crowd with an array of films that examined politics, overcoming hardship, oppression, self-analysis, and of course, comedy. 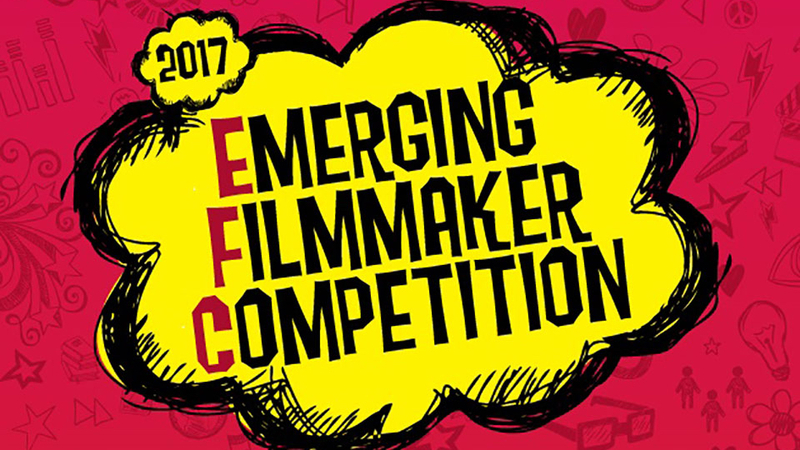 The judges–talented names in the industry–offered awards in several categories, including narrative, documentary, comedy, social impact, and experimental, all categories that reflect their counterparts in Hollywood and other areas of the entertainment industry. 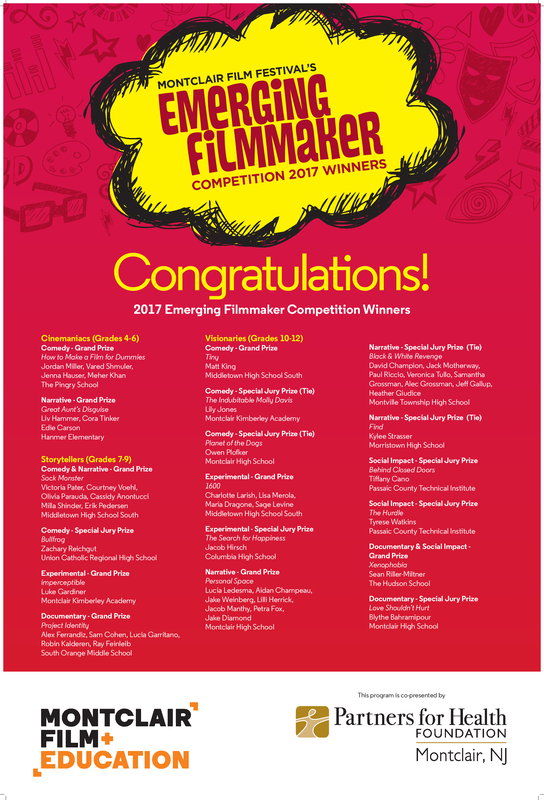 Afterwards, the festivities continued with more pictures with the talented young filmmakers, their entourages, judges, and local community members, as well as fun food and drinks to enjoy. 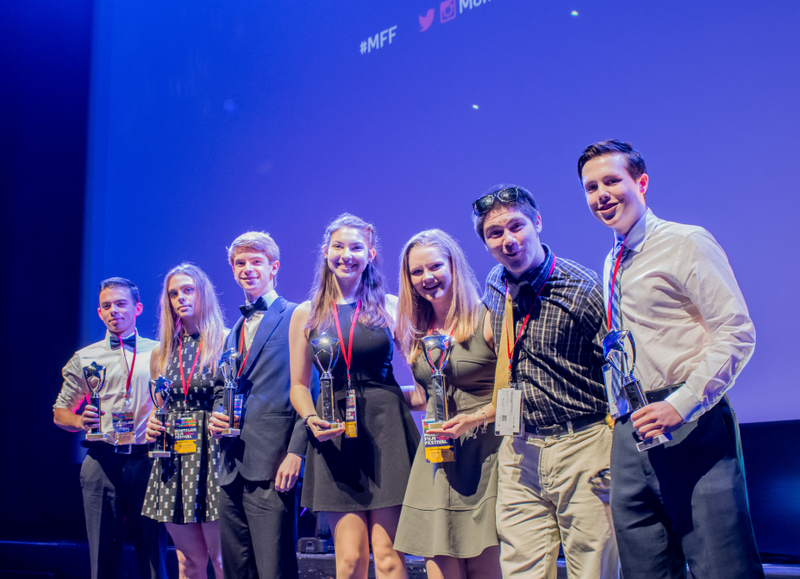 The dreams and energy needed for continued filmmaking success were obvious in these emerging young talents, and Montclair Film wishes them continued success in all their endeavors. Click on poster below to zoom in! And click here for more great pics from the event!